Does this diagram show all the blind spots that a truck driver has? Does this diagram show all the blind spots that a truck driver has? Correct. The blind spots are where the driver can't see or would find it difficult to see. They are the most dangerous places to drive or ride in. There is no rear view mirror on a truck therefore the driver can't see immediately behind the vehicle. On the passenger side the blind spot is the area not covered by the passenger side mirror. It's bigger than the driver's side blind spot. Immediately in front of the cab there's a blind spot where the driver can't see short objects such as pedestrians crossing in front of the truck. Blind spots can be reduced by proper mirror placement, and having convex mirrors. 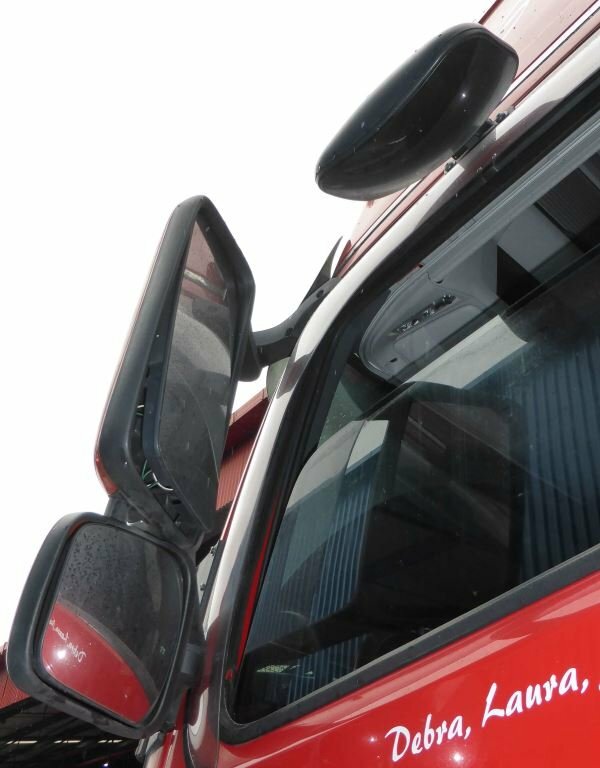 Trucks can have multiple mirrors set up to help eliminate blind spots. Extra mirrors work well for seeing down the side of the doors, immediately in front of the cab and down the side of long trailers, but they still don't allow the driver to see immediately behind the trailer. For this, there are camera systems available. Also, the mirrors must be adjusted correctly for each driver.